byBoyd K. Packer, excerpted from "The Holy Temple"
President Packer's book, The Holy Temple, is a classic of LDS literature that has become one of the most comprehensive and definitive works written about temples. In fact, much of the material found in the Church's temple preparation pamphlet comes from this inspired book. 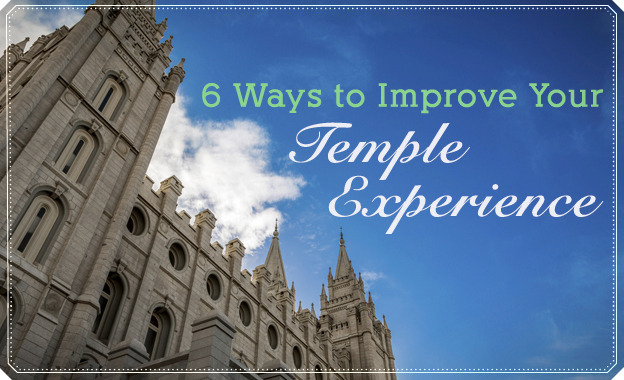 The following is an excerpt from this book, where President Packer shares insights from John A. Widtsoe of the Quorum of the Twelve Apostle's and his groundbreaking talk, "Temple Worship." The reason the teaching of the gospel ofttimes is so difficult is that ideals in the gospel are such intangible things as faith, repentance, love, humility, reverence, obedience, modesty, and so forth. The dimensions of size and shape and color and texture just do not serve us there. In teaching the gospel we do not re-create the material world around us; we deal with the intangible world within us. It is far easier to re-create the visible, tangible world around us in alphabetical symbols than to re-create the spiritual ideals and have them understood. And yet it can be done, and it can be done most effectively by using symbols. We live in a world of symbols. We know nothing, except by symbols. We make a few marks on a sheet of paper, and we say that they form a word, which stands for love, or hate, or charity, or God or eternity. The marks may not be very beautiful to the eye. No one finds fault with the symbols on the pages of a book because they are not as mighty in their own beauty as the things which they represent. We do not quarrel with the symbol G-O-D because it is not very beautiful, yet represents the majesty of God. We are glad to have symbols, if only the meaning of the symbols is brought home to us. I speak to you tonight; you have not quarreled very much with my manner of delivery, or my choice of words; in following the meaning of the thoughts I have tried to bring home to you, you have forgotten words and manner. There are men who object to Santa Claus, because he does not exist! Such men need spectacles to see that Santa Claus is a symbol; a symbol of the love and joy of Christmas and the Christmas spirit. In the land of my birth there was no Santa Claus, but a little goat was shoved into the room, carrying with it a basket of Christmas toys and gifts. 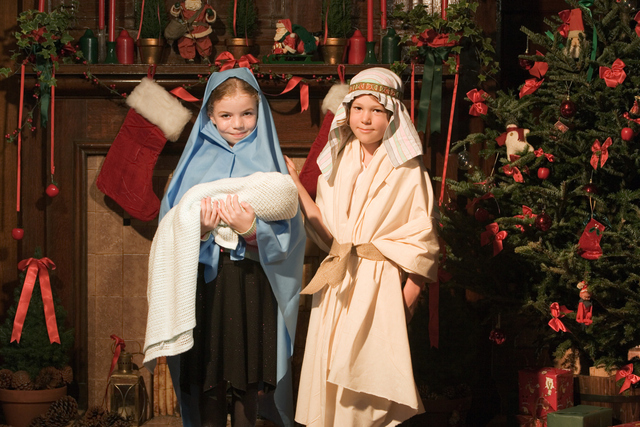 The goat of itself counted for nothing; but the Christmas spirit, which it symbolized, counted for a tremendous lot. If you will go to the temple and remember that the teaching is symbolic you will never go in the proper spirit without coming away with your vision extended, feeling a little more exalted, with your knowledge increased as to things that are spiritual. The teaching plan is superb. It is inspired. The Lord Himself, the Master Teacher, in His own teaching to His disciples taught constantly in parables, a verbal way to represent symbolically things that might otherwise be difficult to understand. He talked of the common experiences drawn from the lives of His disciples, and He told of hens and chickens, birds, flowers, foxes, trees, burglars, highwaymen, sunsets, the rich and the poor, the physician, patching clothes, pulling weeds, sweeping the house, feeding pigs, threshing grain, storing into barns, building houses, hiring help, and dozens of other things. He talked of the mustard seed, of the pearl. He wanted to teach his hearers, so he talked of simple things in a symbolic sense. None of these things is mysterious or obscure, and all of them are symbolic. For more profound insights into the temple, check out President Boyd K. Packer's The Holy Temple.